Posted January 13th, 2012 by Rachel Hammond & filed under Uncategorized. We have been making the best of the glorious sunshine with a spring clean out in the paddocks. 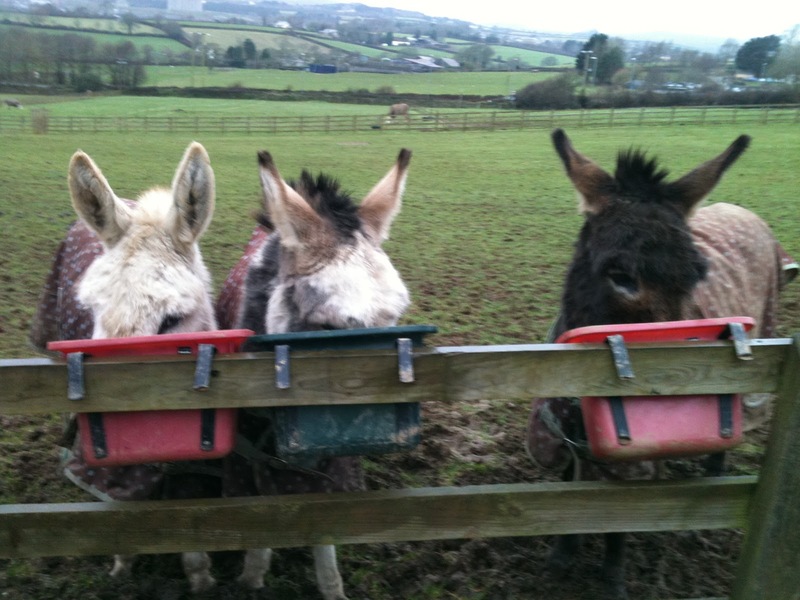 Pictured are the donkey’s having their breakfast. Alice is now in with them, along with the sheep. Judith has also cleaned out Splodge, who enjoys some fresh straw and the chickens in arcs have been moved to fresh grass…all achieved without slipping over in the mud once – quite an achievement! We have been in glorious winter sunshine this week, with promise it is going to last long into the weekend (fingers crossed). If you are thinking of visiting the Spring months truly are stunning. It is a few degrees warmer down here, so everything happens that bit earlier, and not quite so many layers are required to stay snug whilst out enjoying the changing seasons. A particular must at this time of year is a stroll along the coastal path. The seas are breathtaking, fierce yet somehow calming at the same time. And also incredibly quiet now. Why not venture slightly further west for a days walk around the Lizard – The Three Sides of the Lizard is a lovely circular walk. If relaxing sitting down is more your thing we stumbled across the time table for the Bodmin and Wendford Railway the other day. With fun family events throughout year such as Murder Mystery Evenings, Easter Egg-stravaganza, Fireman Sam, Peppa Pig and Paddington Bear theme weekends it really does have something for everyone. We are off to try the pub at St Ewe tonight – apparently it has been taken over – so we will give you a full report next week!